Over 70% of the success of a piggery enterprise success depends on the cost effectiveness of feed used. 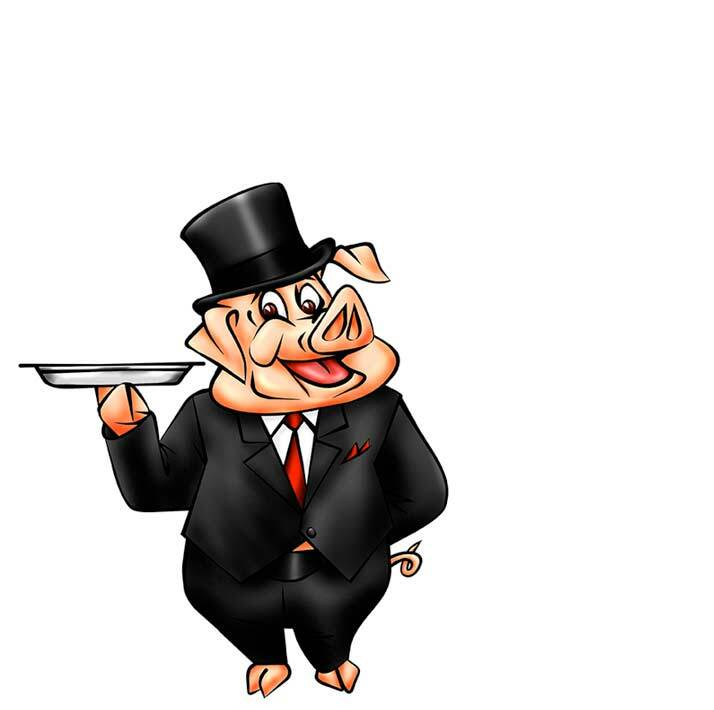 The nutritional needs of pigs vary with age, weight, and stage of production. Though most people assume pigs need a lot to feed on, this is not true. 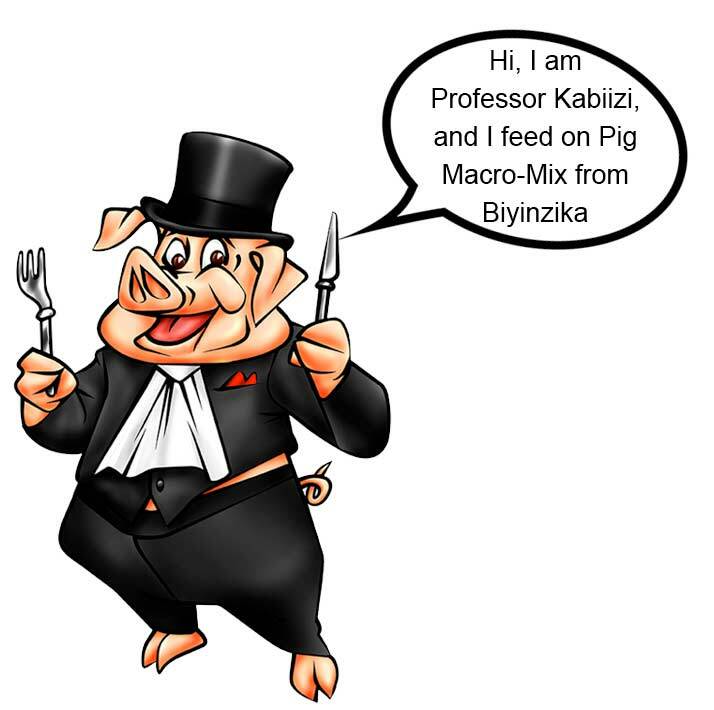 A mature pig on average eats two to three kilos of good quality feed a day. The feeds should include all nutritional requirements. The diet should include enough carbohydrate, proteins, minerals, balanced fats and these can be obtained from maize, maize bran, fish meal, cassava, and cotton-seed cake. It is important to supplement this with a balanced commercial feed, to ensure that the pig receives all the nutrients it requires. This should be coupled with adlib supply of clean drinking water. Since the proteins used in pig diets are of variable quality some of the essential amino acids may be deficient and these are referred to as limiting amino acids. These are lysine and Methionine. 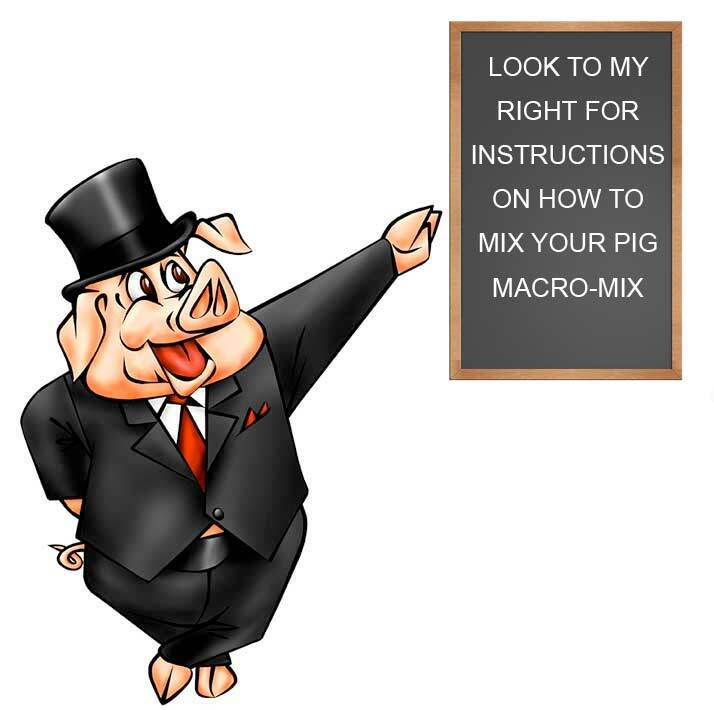 Biyinzika Pig general purpose Macro-Mix is easy to use and contains all the minerals, vitamins and micro-nutrients required for mixing pig feeds. Just add maize, maize bran and soya. It equally contains all the essential amino acids required for maximum growth in pigs.